Paderno Handheld Plastic Spiralizer Just $6.95! Down From $15! You are here: Home / Great Deals / Amazon Deals / Paderno Handheld Plastic Spiralizer Just $6.95! Down From $15! Head over to Amazon where you can score this Paderno Handheld Plastic Spiralizer for just $6.95 down from $14.95 PLUS FREE shipping with Amazon Prime or for orders over $25! 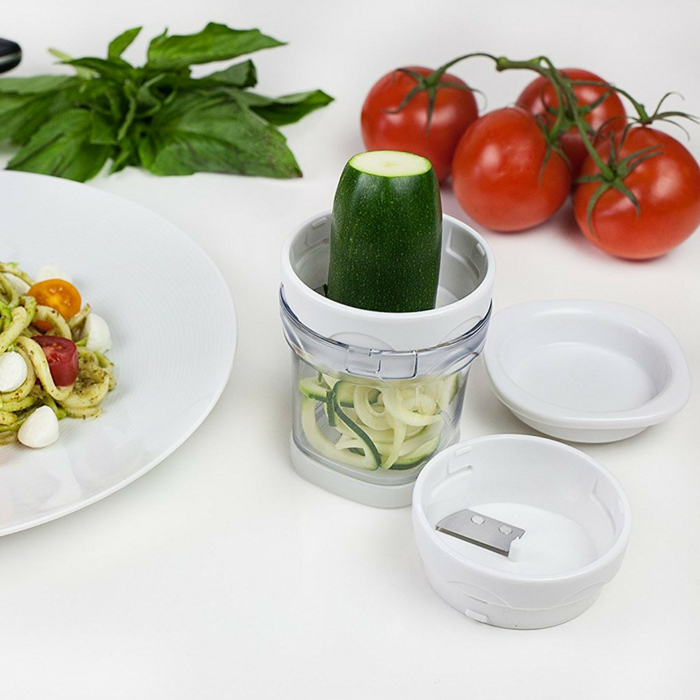 A “portable” vegetable slicer: Compact, easy-to-use and space-saving. The two stainless steel blades cut noodles or thin spirals, while the top cover has 12 spikes to push the food to be cut and thus keeps one’s hands away from the blades. The structure is dishwasher-safe and made of BPA-free ABS plastic. This two-blade, handheld spiralizer is perfect for those that want to minimize the space required for product storage. Small enough to slip into your purse or suitcase for healthy meals on the go.